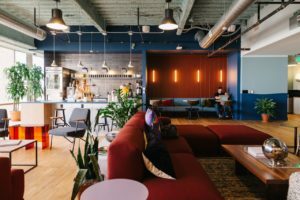 San Diego Co-working Spaces – Too Much of a Good Thing? Some good news for San Diego biotech entrepreneurs – there’s new competition in the local co-working market, potentially leading to lower prices or better perks for startup working spaces. The national co-working chain, WeWork, is opening up 54,000 sq. ft. of office space near the heart of San Diego’s biotech hub, with prices as low as $350/month for a single person (but no permanently assigned space). But with all the new co-working spaces opening up, some question if it’s gone a little too far. And for genomics startups, there’s also the question of finding appropriate lab space and equipment. While most co-working spaces just focus on the office, there are some that include lab facilities. Aspiring genomics entrepreneurs looking for space to get started can check out our list of San Diego resources.